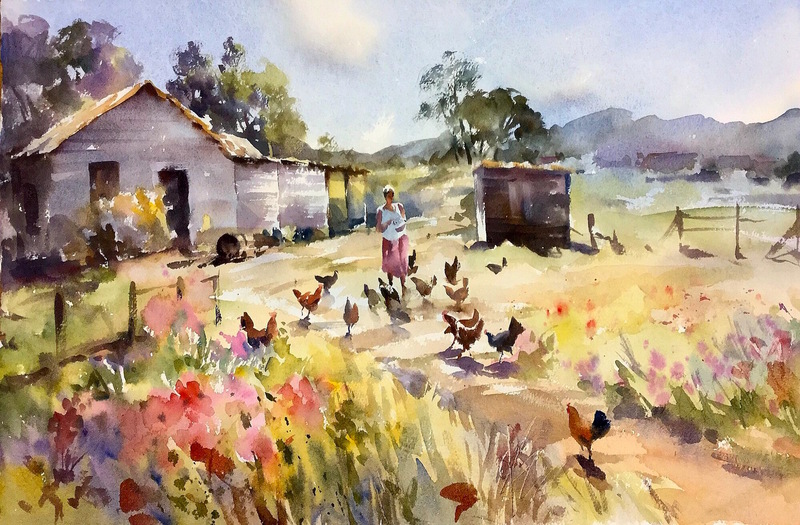 Endless Summer watercolour, features a female figure in pink and white, feeding chickens in a country setting. Watercolour from the Exhibition “Trevor Waugh Watercolours” An Impressionistic painting including flowers, fields and farm buildings.The English countryside at the height of Summer. This painting is matted and is unframed. Painted in 2016 in Wiltshire.